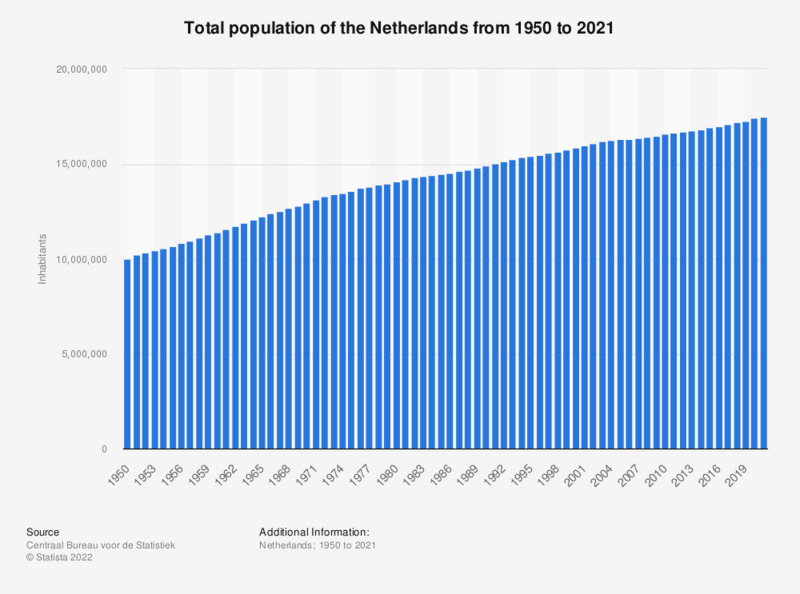 This statistic shows the total population of the Netherlands from 1950 to 2018. In 1950, the total population of the Netherlands was around 10 million people. By 2018, the total population had increased to over 17 million people. The population of the Netherlands consists of the total number of people residing permanently in the Netherlands that have registered with the authorities in the Netherlands, including those without a permanent address. Not included are non-permanent residents, those not registered with the authorities, illegal residents and those excluded on professional grounds (diplomats and NATO military).